Hello kittens, so day 2 here of The Twelve Days of Christmas! The second gift idea I have for you is Kat Von D's Studded Lipsticks! Lets be serious, you cannot go wrong with one.. or.. twelve of these babies! An amazing selection of lipstick shades and they smell like Creme Brûlée! 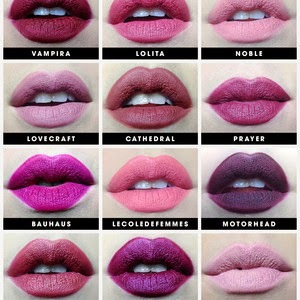 Kat Von D has 30 beautiful matte shades, some are even glittery if that's our style and an amazing black lipstick too!